Enter Bob Vila’s “Pick Your Present” Give-Away from Hayneedle.com Today! 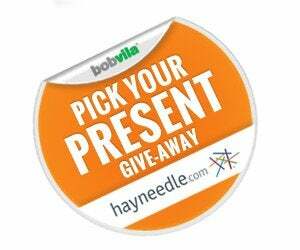 Enter daily for your chance to win one of four weekly prizes from hayneedle.com! The chilly temps and snowy days signal that winter isn’t coming, it’s already here. With the winter season also comes an influx of friends and family. Playing host to guests can be an overwhelming—and expensive—task. 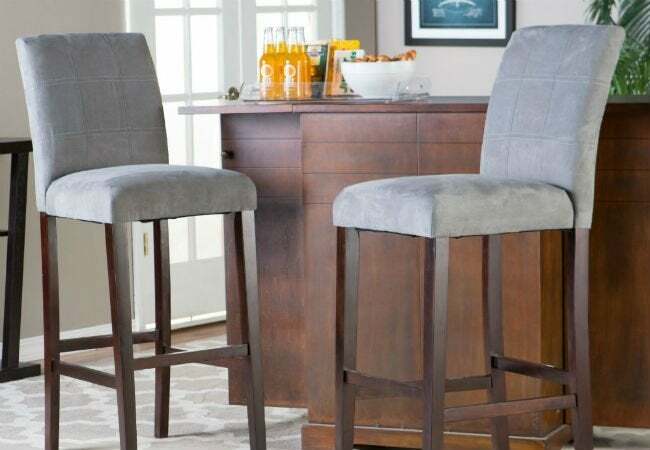 But if you’re a lucky winner of Bob Vila’s “Pick Your Present” Give-Away from Hayneedle.com, you could outfit your home with all the cozy furnishings, stylish accessories, and entertaining necessities you need without spending a fortune. Hayneedle.com is one of the nation’s largest online retailers for home furnishings and decor, featuring over 3,000 brands and millions of products for every room, style, and budget. Offering everything from furniture to kitchenware, it’s an online destination for homeowners looking to bring their decorating visions to life. During Week 1 (November 30–December 7), warm up to any of these porch and patio heaters. Choose from the Red Ember Wheatland 50-inch Outdoor Convertible Fire Pit Table and cover, the 28-inch Campfire Fire Pit, or the Hammered Bronze Commercial Patio Heater with Table. For Week 2 (December 7–14), you could give your kitchen a most welcome treat. Enter to win the Belham Living White Mini Concord Kitchen Island with Stainless Steel Top, the Sutter Bakers Rack with Baskets, or a super convenient Keurig K450 2.0 Brewer. Week 3 (December 14–21) could give you the gift of brand-new furniture. One lucky winner will take home their choice of a Belham Living Palmer Printed Arm Chair, a Brinfield Rustic Console Table, or the Gayson Tufted Entryway Bench. Your guests will never want for entertainment if you win the Week 4 drawing (December 21–31). Take home your choice of the Belham Living Trenton Bar Cart, the Palazzo 30-inch Bar Stool, or a fully electric dart set from Arachnid. So what are you waiting for? Enter today and every day in December for your chance to pick a very special present for your home. To learn more about hayneedle.com, click here. The “Bob Vila’s ‘Pick Your Present’ Give-Away from Hayneedle.com” is open only to permanent legal U.S. residents of the 48 contiguous states and the District of Columbia; residents of Alaska and Hawaii are not eligible. Void in all other geographic locations. No purchase necessary. Void where prohibited. Contest Period runs from 12:00 p.m. (EST) Monday, November 30th, 2015, through 11:59 a.m. Thursday, December 31st, 2015. One entry per household per day on BobVila.com. Alternative means of entry for Drawing is available by faxing your name and address to 508-437-8486 during the applicable Entry Period. Odds of winning depend on the number of eligible entries received. See Official Rules.